Grab a bite at Collen Bawn, one of the hotel's 2 restaurants, or stay in and take advantage of the room service (during limited hours). Quench your thirst with your favorite drink at the bar/lounge. Full breakfasts are available daily from 7:30 AM to 10 AM for a fee. Featured amenities include a 24-hour business center, dry cleaning/laundry services, and a 24-hour front desk. Planning an event in Killarney? This hotel features 0 square feet (0 square meters) of event facilities. Free self parking is available onsite. This hotel is situated right in the heart of Kerry, just 5 km from the beautiful town of Killarney - the tourism capital of Ireland. 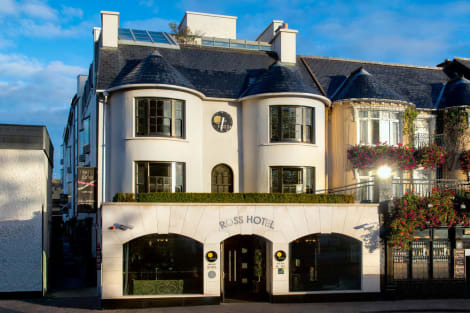 There is a bar and a restaurant within a minute's walk and the hotel is close to all the spectacular visitor attractions of the area including Killarney National Park and Muckross House and Gardens. Guests will find the nearest links to the public transport network some 4 km away, St Mary's Cathedral, Ross Castle and the tourist centre all around 5.5 km away and it is about 7.2 km to Lough Leane. Killarney National Park and the Torc Waterfall are both roughly 11 km from the property, while Cork is approximately 73 km away. This country house hotel is housed in a typical building with secure and ample parking and a flowered garden area and offers guests a quiet and relaxing stay. 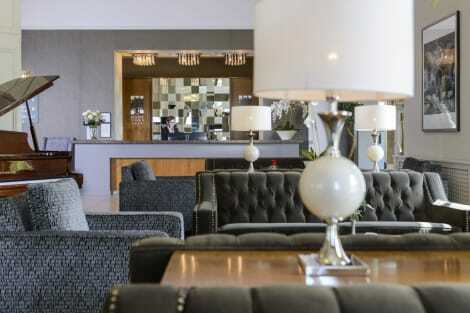 This charming, family-friendly establishment comprises a total of 29 rooms spread over 2 floors. Facilities on offer to guests include a lobby area with a 24-hour reception and check-out service, lift access and a children's playground. There is a bar, a pub and a restaurant and guests will appreciate the conference and meeting facilities and wireless Internet access hot-spot. They can also take advantage of the room service and there is parking for those arriving by car. The charming and very quiet rooms are furnished in country pine and offer a homely atmosphere. All come with a private bathroom with a shower and a hairdryer. They are equipped with a telephone, satellite TV and tea and coffee making facilities. Non-smoking, 3-bed and family rooms are available. There is entertainment with music on offer every weekend, and during the summer well-known local musicians play nightly. Billiards and darts are available and guests can enjoy outdoor activities like golf (Killarney Golf, about 9 km), walking, cycling, fishing and horse riding nearby. Guests may select their breakfast from a buffet. With a stay at Killarney Oaks Hotel in Killarney, you'll be just steps from Killarney National Park and 11 minutes by foot from INEC Killarney. This 4-star hotel is 2.9 mi (4.7 km) from Ross Castle and 0.2 mi (0.3 km) from Lough Leane. Enjoy a meal at the restaurant, or stay in and take advantage of the hotel's 24-hour room service. Quench your thirst with your favorite drink at the bar/lounge. Full breakfasts are available daily for a fee. Unwind in the leafy surroundings of Burke’s Mulbur House, a modern home just 6km from County Kerry Airport. A superb base for tours of the renowned Ring of Kerry and Dingle, guests can also explore the lively town of Killarney just five minute’s drive away. With the exceptional National Park, acclaimed golf courses, horse riding, water sports and walking trails, adults and children will be enamoured with the area. Guests can enjoy private parking, arranged tours and activities. Burke's Mulbur House is a proud winner of the 2014,2015 & 2016 TripAdvisor Award of Excellence and Tripadvisor People's Choice Award for 2014, 2015 and 2016. Grab a bite at Green Room, one of the hotel's 2 restaurants, or stay in and take advantage of the 24-hour room service. Need to unwind? Take a break with a tasty beverage at one of the 2 bars/lounges. A complimentary full breakfast is served daily from 8 AM to 10 AM. In the heart of south west Ireland's County Kerry on the north eastern shore of Lough Leane, Killarney enjoys a truly inspiring location. The sheer concentration of fascinating Irish heritage sites and natural assets near the town, combined with its location on the Ring of Kerry, make it a highly favoured tourist destination to savour from Killarney hotels. The Killarney National Park that surrounds this charming town is stunning. There are towering mountain peaks, moors and quiet woodlands, lakes, rivers and waterfalls. Perhaps the best way to appreciate this breathtaking region of Ireland is to take a tour of the Ring of Kerry. This will take you through the famously beautiful passes and valleys of MacGillycuddy Reeks, to the lovely Dingle Bay and Kenmare Bay, Ladies View, the Lakes of Killarney and through the area's pristine oak woods. Killarney has a long and rich history, with religious settlements featuring prominently. The monastery on nearby Innisfallen Island was founded in 640 and occupied for some 850 years. Ross Castle on the shores of Lough Leane dates back to the 15th century. On Ross Island there is evidence of much earlier occupation too, where Bronze Age settlers mined for copper ore. One of many local tribes to settle the Killarney area were the Fir Bolg or ‘bag men' who used their highly developed stone masonry skills to build forts and also created the early Irish language known as the Ogham script. Even the history of tourism has deep roots here, as in the mid 18th century Thomas, fourth Viscount Kenmare began to develop the area as an Irish version of the English Lake District, with real success. The arrival of the railway in 1853 was a major benefit and attracted many more visitors. For more than 250 years, people have been drawn to this fabulous place, which is largely unchanged in the 21st century. 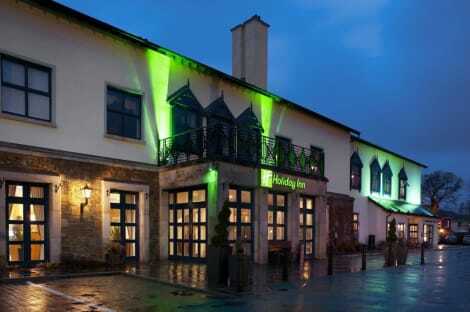 Killarney is well stocked with welcoming pubs and bars, from the pure and authentic to the distinctly contemporary. O'Connor's is a classic traditional pub and deservedly popular. It offers live music every night of the week and lovely authentic details such as the leaded glass doors as you enter. At the Granary you will find a bar and restaurant with a totally different ambiance, where low lighting, comfy leather sofas, DJs and local bands create a more relaxed urban feel. For real intimate escape, try Hussy's where you can cradle a pint of Guinness in the little snug away from the hubbub. There is a real diversity of restaurants and cafes in Killarney. Local seafood is highly recommended in places such as Gaby's Seafood Restaurant and sophisticated fusions of traditional Irish with European influences can be savoured at Treyvaud's. If you fancy a wholesome no-frills Kerry shepherd's pie, try Jam on Old Market Lane. Killarney caters well for all tastes because it's been doing just that for centuries.